Flames… Burning… On the side of my title credits! The sword and sandal genre once thrived, with heroes like Hercules and Samson knocking down pillars and wrestling lions. Maybe it died off because other cheap fare was more marketable, or perhaps an audience that had rejected tight shorts on men now demanded their heroes wear pants. Whatever the cause, it wasn’t until Arnold Schwarzenegger donned the loincloth for Conan the Barbarian that buff men running around in their underwear muscled their way back into theaters. Within a micro-second of Conan ‘s box-office success, Joe D’Amato must’ve been plotting his cash-in, because a scant six months later Ator l’invincibile stumbled onto the big screen in a pair of ridiculously fuzzy boots. Most famous for sleaze, horror, and sleazy horror D’Amato seemed an unlikely writer/director to create a family friendly barbarian revenge flick. Perhaps that’s why he’s credited here as “David Hills”. Ator’s story hews to Conan’s in a few key ways. He sees his village and parents slaughtered by powerful cultists. He receives training from a somewhat mystical mentor. He must defeat the high priest and a giant creature (although they are separate here). He even has companions in his quest, even if they’re a bear cub and a store-brand Amazon. Everything else is a hodgepodge of bizarre filler. It’s like D’Amato condensed the Conan plot into ten minutes and then just padded it back out to reach feature-length. Typical of the irrelevant screen time is the Indun sequence. Ator, being a lunkhead, falls under the spell of Indun. She’s a witch who seduces men to something something something. It’s not important. 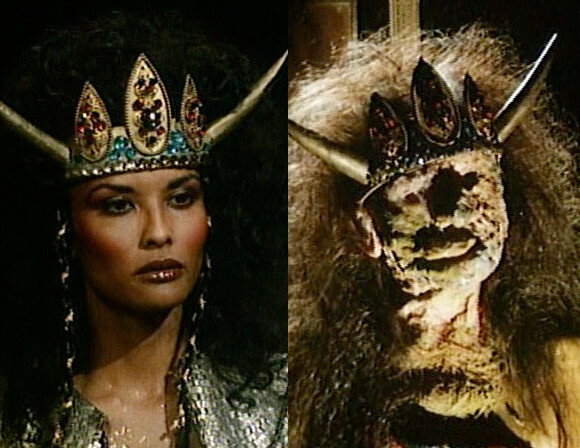 Eventually Ator’s pals knock the curtain off of a mirror, Indun sees her reflection, she turns into an actress with goop dumped over her head, and Ator escapes. The last we see of her, she’s really ugly and swearing vengeance. Just another pointless stop on the way from point A to point B. The few encounters that actually advance the plot in any way are equally perfunctory and uninspired. His mentor trains Ator in a sequence of shots so brief that it’s over before you can finish shaking your head. Then, upon saving the warrior Roon from a gang of bandits, Ator is promptly captured by her tribe of lovely women for — tee hee — breeding, because D’Amato apparently has the imagination of a 12 year-old. Roon wins the right to bed our hero, but she decides to help him recover his sister in return for the cult’s treasure. This will go to help her people, whose laws she’s violating by not acquiring Ator’s, ahem, genetic material. I glossed over something important there. You see, to differentiate him from Conan, Ator’s motivation is more than simple revenge; it’s love. Yes, Ator must rescue his sister, who was taken away from him at their wedding. No, that antecedent is not unclear. Ator married his sister. Sure, they aren’t actually related, but up until Ator receives their father’s permission to wed his sister, both Ator and Sunya believe they are siblings. They even discuss this in one of the most brilliantly awful exchanges in movie history. Ator Why can’t we marry? Sunya Ator, we are brother and sister. Ator I’ll talk with our father. This is a terrible, no good, very bad film, and I love it so much I’ll have to talk to our father. In large part, it’s the lunacy and ineptness that appeals to me, but what makes it marriage material is the nature of Ator’s enemy. The man who kidnaps Sunya and has Ator’s village destroyed is the High Priest of the Spider, ruler of the Kingdom of the Spider in its 1,000th year — which is bad timing, because according to an inordinately complicated prophecy this is year that Ator brings down the temple on the spider cult that runs the kingdom. That’s another tarantula crawling on his head. 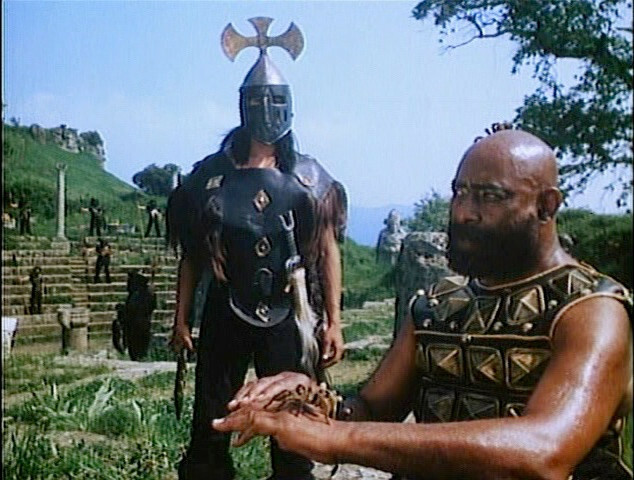 Unable to afford an actor as impressive and charismatic as James Earl Jones, D’Amato cast a Peruvian wrestler named simply Dakar (b. Alejandro Barrera) as the High Priest, also named Dakar. Thulsa Doom, he is not, but at least the Kingdom of Spiders does not just pay lip service to the whole spider motif. The High Priest is almost never seen without at least one tarantula crawling on him. The pièce de résistance is the one the High Priest serves, the Ancient One. This is an enormous spider that lives beneath the temple and is portrayed by a giant puppet with legs that waggle sporadically. It’s a delightful failure as a prop, and what really propels it into full inanity is its sacrifice web. The Ancient One, waggling unconvincingly in the light of Ator’s shield of extreme shininess. In reality, the web is clearly made of several lengths of rope, tied together. There’s no attempt to dress it up or conceal the plies and knots. Indeed, the victim is clearly bound to this ersatz web with loose coils of rope. Plus there’s more typical artificial cob-webbing on the rope, just in case viewers mistook the net in the middle of the hall for a web. And yet, when someone is pushed into the ropes, they become stuck! Is it actually meant to be a web after all? It can’t be, can it? Ator is able to free the victim by releasing only her hands, yet someone else is completely adhered to it! It’s plainly some manner of material that responds strictly to the whims of the plot. D’Amato must have spent the majority of the movie’s budget on that miracle substance, because there’s certainly no evidence of its application elsewhere. I could detail the hilarity of watching Ator attempt to literally fight shadows or break his shield of immortality, but such delights and more are best seen for oneself. 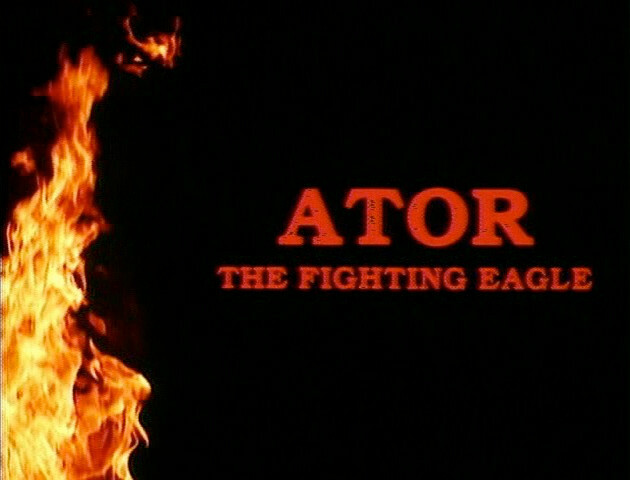 Ator, the Fighting Eagle rewards the uncritical viewer with a hearty chuckle and a head shake nearly every scene. Though much less well-regarded than Conan the Barbarian , it fared better in terms of establishing a franchise. Arnold Schwarzenegger would only appear once more as the chiseled Cimmerian, despite being under contract for more, and when the character returned to the big screen it was in a barren reboot that couldn’t sire sequels. Ator, meanwhile, had a total of four films in the same — we’ll call it continuity. Miles O’Keeffe played Ator (and his identical son Ator) in three of them, being replaced by Eric Allan Krame only for the character’s final appearance in Ator IV: The Hobgoblin . In my book, that makes Ator the more successful barbarian. This review is part of the Vengeful Witch roundtable; we’re taking a look at films in which witches seek vengeance. 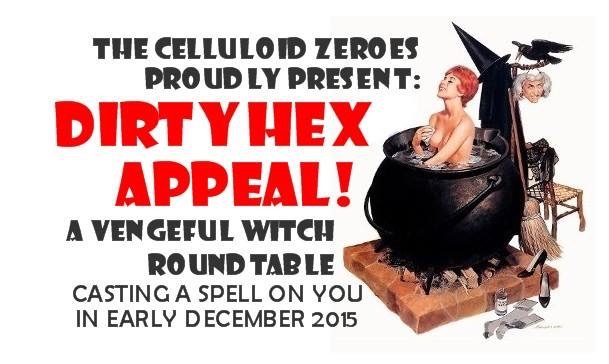 Or where there is some vengeance and/or witches. Or maybe neither. Look, we reviewed some stuff. Links will be filled in below throughout the weekend as the other reviews go live.